The eagles project is finished. 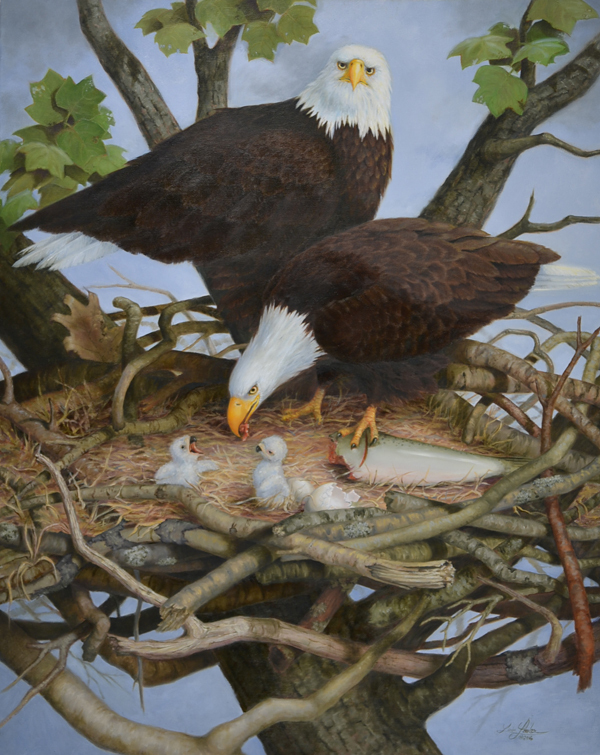 It measures 24" x 30", oil on linen and is titled, "Family Tree, Eagles". The original drawing, also 24 x 30 is now for sale on my website store, www.lindalawlerart.com. The painting is not for sale at this time, I will be offering prints in the near future.